Revised and fully, ISO 9001:2015 Audit Procedures describes the methods for completing management reviews and quality audits and describes the changes made to the standards for 2015 and how they are likely to impact on your own audit procedures. Now in its fourth edition, this text includes essential material on process models, generic processes and detailed coverage of auditor questionnaires. Part II includes a series of useful checklists to assist auditors in compiling their own systems and individual audit check sheets. The whole text is also supported with a glossary of terms as well as explanations of acronyms and abbreviations used in quality. ISO 9001:2015 Audit Procedures is for auditors of small businesses looking to complete a quality audit review for the 2015 standards. 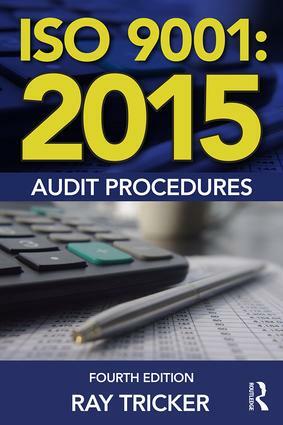 This book will also prove invaluable to all professional auditors completing internal, external and third party audits.